How did the sanctuary begin? Your donation is DOUBLED until 12/31/18! 2:1 Matching grant means TRIPLE the help for the animals! 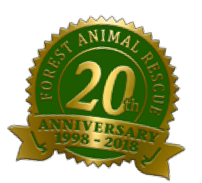 We are celebrating 15 years of rescuing animals! Will you join us as we continue? 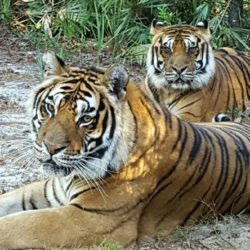 Peace River Refuge & Ranch, Inc. dba Forest Animal Rescue is a Florida nonprofit charitable corporation. A copy of the official registration and financial information may be obtained from the Division of Consumer by calling toll-free within the state 1-800-HELP-FLA (435-7352) OR www.FloridaConsumerHelp.com. Registration does not imply endorsement, approval, or recommendation by the state. Florida Registration CH9372. We are tax exempt under IRS 501(c)(3), EIN 65-0864695.